I managed to paint one more pebble, and so far this painted pebble is my favorite. I took these pebbles from a beach in Nice, when we visited Europe in October. Hubby looked at me strangely, unsure if he heard it right when I said I wanted to bring home these pebbles haha. 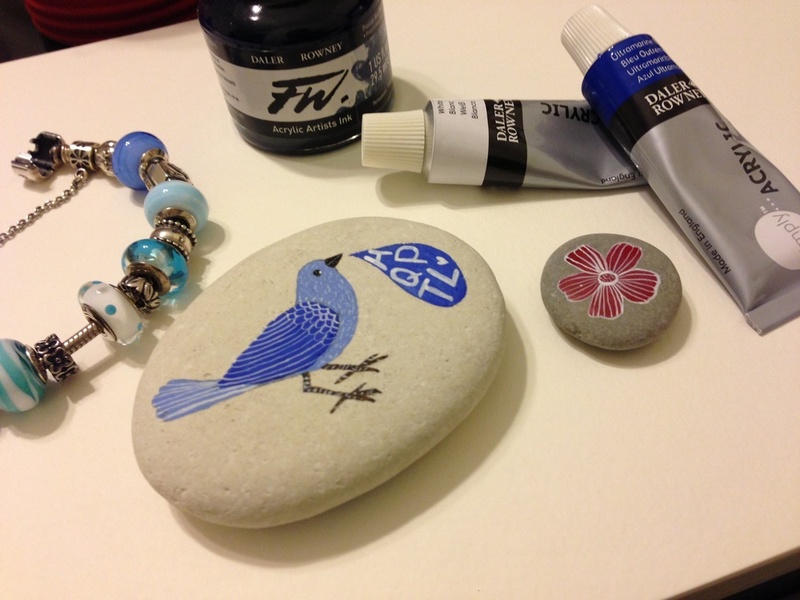 Now I wish I brought back more pebbles, so many things I want to paint on them ^o^ Painted two of them a few days back.